A new report by the Seoul-based Asan Institute for Policy Studies suggests Russia set up a secret trading system to get around United Nations economic sanctions on North Korea. The report centers on the activities of Russia's Independent Petroleum Company (IPC). IPC was targeted by the U.S. Treasury Department in June 2017 for violating restrictions on oil exports to North Korea. IPC was found to have sold large amounts of oil to Russian-linked companies, the report says. Some of the companies were used to cover up the oil exports to North Korea by falsifying information about which countries the supplies were shipped to. The report says one North Korean state company was found to have bought nearly 623,000 tons of Russian oil worth $238 million between 2015 and 2017. The Asan group said it discovered the information in Russian customs documents. But the Korea International Trade Association in Seoul had reported only about $25 million in Russian oil sales between 2015 and 2017. 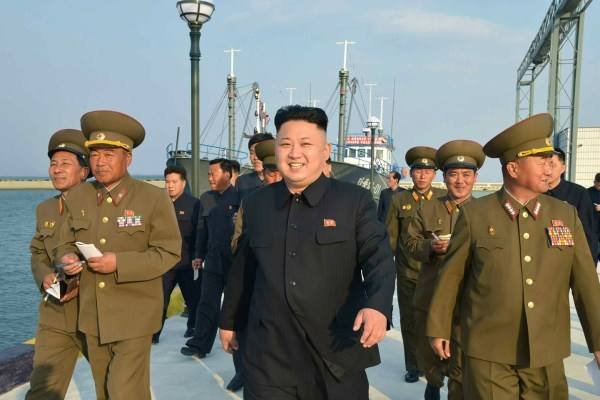 The report says the U.S. State Department estimates North Korea has been importing around 4 million barrels of crude oil and 4.5 million barrels of processed oil each year. And China is North Korea's main oil supplier. Go Myong-Hyun is a North Korea expert with Asan. He says smuggling has always been an important part of cross-border trading between North Korea and its close allies. He said, "What the Chinese government - and the Russian government to a lesser extent - have been doing, is to turn a blind eye to these activities." The information from Asan came after a report in the Wall Street Journal accused Russia of possibly violating international sanctions another way. That report said Russia issued work permits to more than 10,000 North Korean laborers since September to work in Russia. U.N. sanctions put in place in September of 2017 ban member countries from "providing work authorization" permits to North Korean workers. Russian officials denied the newspaper report. Last week, U.S. Ambassador to the U.N. Nikki Haley said she found the story "credible." She said "reports of Russia violating U.N. Security Council resolutions on North Korean laborers working abroad are deeply troubling." In December of 2017, the U.N. Security Council strengthened the sanctions. They cut North Korean oil imports by about one third, while placing a total export ban on coal and other mineral industries. The sanctions also affected $800 million in North Korean clothing manufacturing, as well as the country's seafood industry. There are signs the international sanctions have severely harmed North Korea's economy over the past year. The Bank of Korea has estimated the sanctions banned about 90 percent of the country's trade. The restrictions aim to pressure North Korea to give up its nuclear weapons and missile programs. North Korean leader Kim Jong Un promised to work toward denuclearization during his meeting with U.S. President Donald Trump in Singapore in June. I set up a ginger group on the environment. He is thinking of giving up teaching. 5.U.N. sanctions put in place in September of 2017 ban member countries from "providing work authorization" permits to North Korean workers. 6.The Russian government to a lesser extent - have been doing, is to turn a blind eye to these activities." Those children have enjoyed a good life and they seem to turn a blind eye to patriotism. How much happiness we turn a blind eye to, but we are shut out by the minimal pain.